Batley Bulldogs coach Matt Diskin wants his side to build on last week's encouraging display against Toronto Wolfpack when they welcome French high-fliers Toulouse Olympique to Mount Pleasant on Saturday. 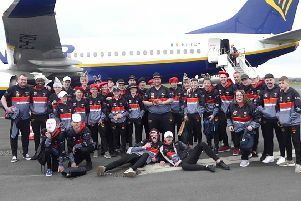 Batley Bulldogs will look to build on their improvements shown against Toronto Wolfpack last week when they welcome another of the Betfred Championship high fliers, Toulouse Olympique, to Fox’s Biscuits Stadium on Saturday (kick of 3pm). 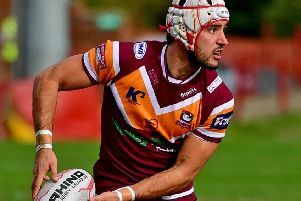 Batley coach Matt Diskin saw his side dig deep, especially in the second half, as they came away from rain lashed Craven Park with a good deal of credit from a 34-12 defeat to leaders Toronto. He will look for the side to build on that performance as they target a second win of the season. He said: “I thought we made some improvements on some of the issues we’ve had in the last few weeks, regarding half-backs playing nice and square and trying to move the ball a bit and play some better rugby. “I thought we did that in patches of the game and in certain periods we did trouble them. “Going into the game the odds were massively against us. (Toronto) spent £1.8million, we’ve spent £180,000 so you can see the difference there before we even step on the pitch. You could see the quality of their personnel.